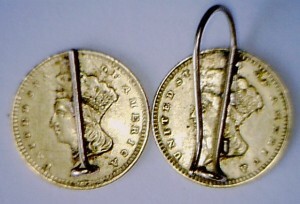 Earrings often do not survive through time. They are one of the easiest pieces of jewelry a woman can lose. 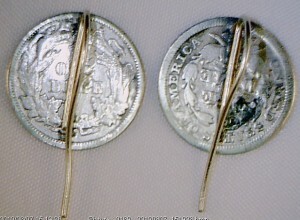 They can be lost by pulling the hair away from the face, as an earring unknowingly catches a few strands of hair. Babies can also grab at them and pull them off. Breakage is another problem. Many of the Victorian earrings had harp shaped wires soldered directly to the backs of the coins. 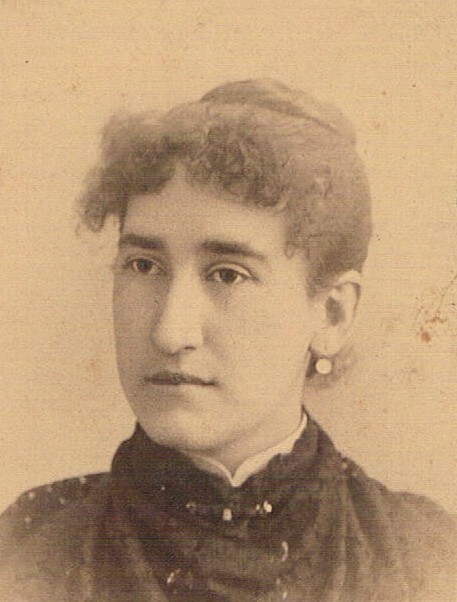 They were prone to snapping off as an earring flexed back and forth either as it was placed on the ear or stored improperly with other items. 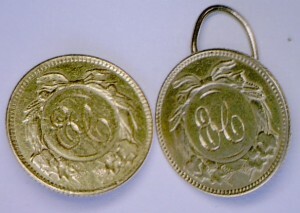 Love tokens with loops soldered to the top stood a better chance of surviving. 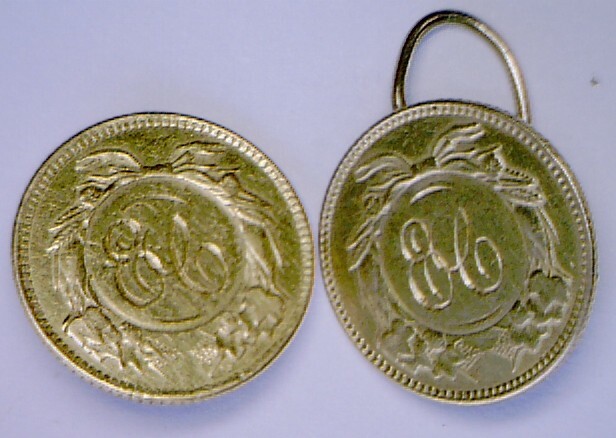 The coin could have swung freely and not had stress placed on it. 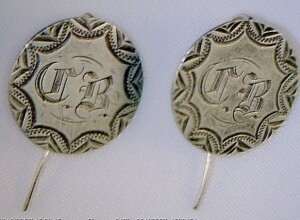 Too often collectors find love tokens with the telltale solder marks on the backs suggesting they were once earrings. 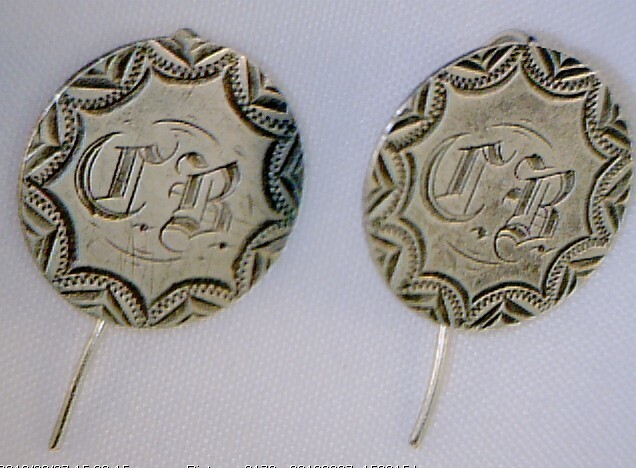 Screw back earrings came on the scene in 1909, the same year cents changed from the Indian to Lincoln. 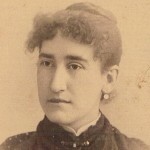 Most love token production had halted with only a few late date examples remaining. 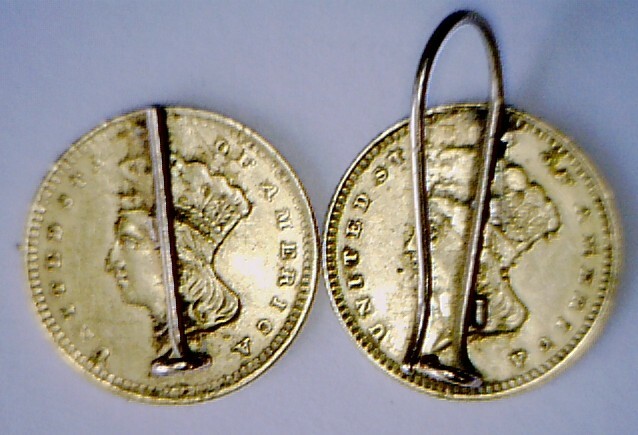 Still it is not impossible to find a pair of screw back love token earrings. Also, with wires on the earlier versions breaking, some could have been retrofitted with new hardware.